Painter Henri Matisse is famous for saying “creativity takes courage.” And he’s right – creativity is hard! It takes grit, persistence and will, but for many kids (and adults! ), they need the ‘why’. Why should I learn about art? Why is art important? How is creativity relevant to me? And now more than ever, it’s important for students, parents, and the community to see the relevant connection of artistic careers to life. 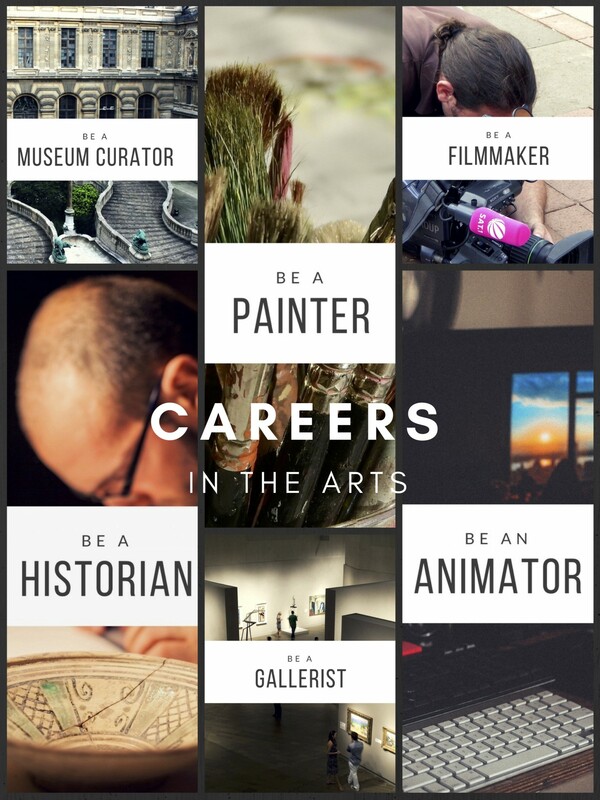 You have heard it before: we are currently educating students for careers yet to be invented, so get your students and parents exploring the multitude of artistic careers! Begin by having your students dig deeper utilizing the 4 Cs. Ask them to consider what other careers heavily rely on these skills. You could even begin the discussion by showing them “Above and Beyond,” a short film created by FableVision and the Partnership for 21st Century Learning. Once they’ve viewed it, discuss what processes were used and the career connections. Another great resource to have students investigate a wider variety of artistic careers is The Art Career Project. Students can dig into various areas such as animation and effects, music and performing arts, marketing and more. The tabs for each section open into multiple career options that then allow the user to explore the overall career, the best schools to attend, and even job listings for creatives. We also created a set of visuals that can be printed as posters or table sets for your community to explore, discuss and share. Although there are about sixteen careers represented, they are just the jumping off point. The possibilities are endless! There are so many fun possibilities so set the challenge for the students and let their imaginations run wild! We hope you can use these ideas to spark lesson plans that help you open a world of creative possibilities for your students.